When Jordan and I sat down to make our goals for 2018, we knew this would be a big year. “Make more money” isn’t a unique goal but the goal was intrinsic to enabling our live bigger goals. 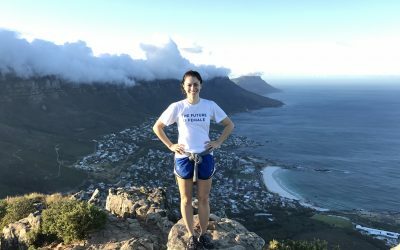 We were expecting our first child in March, we are saving up to build a home on a piece of land that we purchased, and we really, more than anything, want more financial freedom. Not “financial freedom” as in retire early or live the digital nomad life and travel around the world (though now that I think about that, it does sound like a good goal). 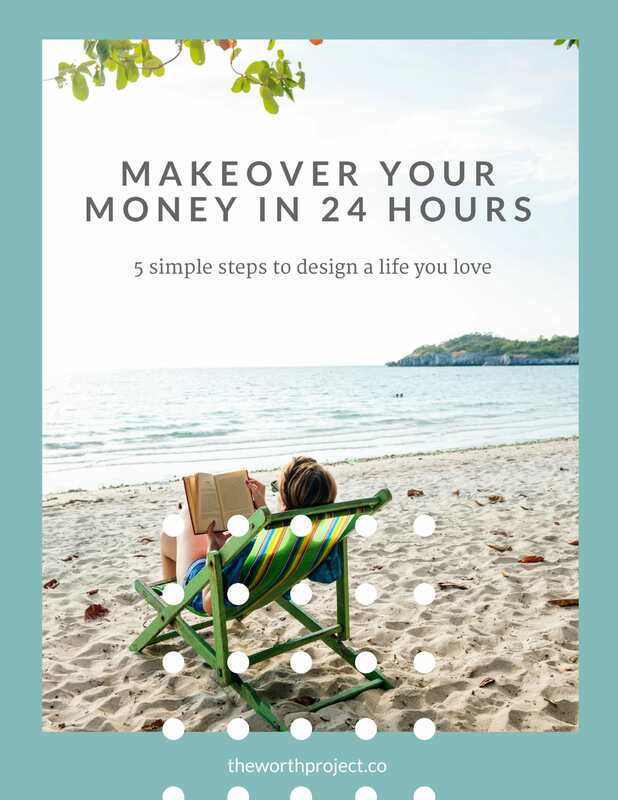 We wanted financial freedom in the sense that we can make our own decisions about what to do in life without money being the thing that constantly stops up. We’ve been living in London for over 4 years and have loved every minute of it, but we want the freedom to move home when we choose to, rather than wait for his company to decide where to put us next. We want the freedom to spend time with our family when we want to, and not based on our two weeks of vacation. Taking all of this into consideration, it became clear that my main goal for 2018 (aside from growing The Worth Project, which I love) is to make more money. Jordan’s income is fixed. That’s both a perk and a pitfall of working for someone else. My income isn’t fixed. This is both scary and comes with a lot of opportunities. 2018 is the year of opportunities. I’ve written a little bit about what I do and how I got started, but I realize that I’m not always 100% clear with people on how I earn a paycheck (I mean, my mom doesn’t even know). Before working for myself I had traditional corporate roles at PwC (as a CPA) and at P&G (working in marketing). I’m using this background and my MBA to provide freelance services. I write personal finance articles and white papers. If you find me on the internet, the odds are I’ve been paid to write whatever it is you’re reading. And not in a scammy way. I’ve been paid to produce content that people want to read. I like it, hopefully, readers like it, so it’s a win-win. I am a marketing consultant. I create full marketing and business strategy plans and provide ongoing support to small businesses. While I’ve worked with a range of amazing businesses in the past (from chefs to yoga studios to designers), I am now focusing almost exclusively on providing these services to the financial industry: CFPs, Investment Advisors, and CPAs. More on this change later. Yes, I do make a little from The Worth Project. I hold workshops, have an online negotiation course, and make some money through affiliates. But it’s a small amount and every dollar that I make here goes back into the site. Running a site like this is inexpensive, but it’s certainly not free. 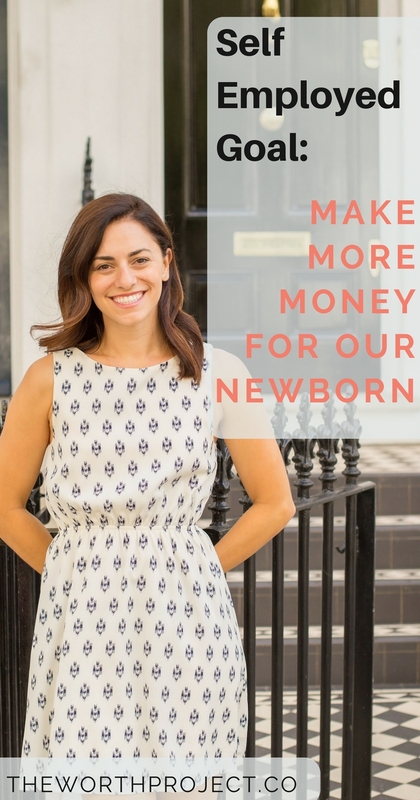 I wanted to diversify my income sources and earn enough to cover childcare for the baby. I envisioned pitching and finding new clients and starting to work on new projects. 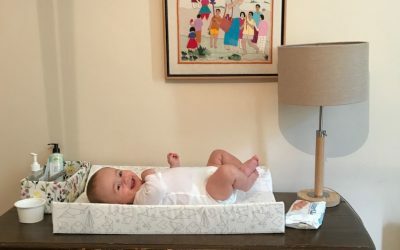 Because we live half-way around the world from family, and I’ve never been much of a baby person, I was really nervous about not having support at home with an infant. 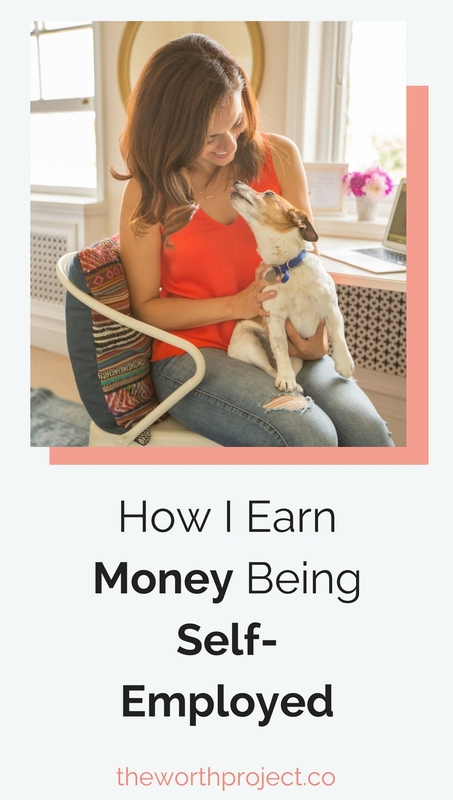 I also knew that being self-employed, I’d be lucky if I could take off a few weeks, at most, if we wanted to continue saving and investing for our goal of financial freedom. Money-wise, I did great. I made enough additional income to cover the childcare and miscellaneous baby spending that I wanted. A past client hired me for a big new project that went from mid-Jan to mid-March. 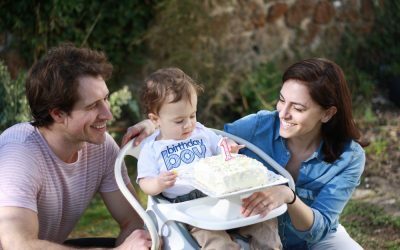 While I was initially nervous about the job because it was going to be a lot of extra time and was going to run-up to Henry’s due date, the late nights of work were worth it. I also pitched and wrote six extra articles. These two things were on top of my typical workload so I worked like mad and hit my goal of an additional $5,500. Seriously, I was finishing the last articles and had the project launch on my due date. I really pushed the time limit. Luckily, Henry came 3 days late. Where I fell short was with diversifying my income. To hit my goal, I took the easy way out. I went back to an old client and pitched publications I’ve written for before. That’s not to say I didn’t enjoy the work – I did and I’m very grateful I was able to easily get enough new work to make the extra money we needed. But my long-term goal for this year is to diversify my income sources. 1, there’s not a lot of stability in my income from month to month and that’s a little terrifying. Having more sources of income will help to smooth out the highs and lows. 2, I want to become more focused on the type of clients I work with so I can go deeper with the services that I offer. In the past, I’ve done marketing strategy projects for clients in all different industries. Now, I want to go deeper with clients in the personal finance space (CFPs, Investment Advisors, CPAs) so that I’m able to do the same type work, but be even more specialized. Working with a range of businesses, I’ve loved learning a little about a lot of different industries, but money and personal finance are what I know and like the best. I’m going to stick with that. I’m so happy that I was able to put away an extra nest egg so Jordan and I are able to enjoy the first few months with a newborn without worrying about any financial strain. But knowing that our goal for this year is to have a lot more financial freedom, I need to continue stepping up my income. I really want what I do to become a stable source of income that my family can depend on month-to-month. So, it’s time to grow my business even more. Seeing that it wasn’t too difficult to make an additional $5,500 in one quarter, I realize that if I am able to increase my income by this much every quarter, I’ll earn an additional $22,000 this year. That would be incredible. Pitching for more marketing projects in the financial services space (CFP’s, Investment Advisors, and CPA’s). These projects will include all aspects of digital marketing, analytics tracking, copywriting, and content marketing development. I’m so excited about this. Pitching for new writing jobs. This will be my secondary focus and I’m excited to try and get my work published by new clients and in front of new eyes. It’s really rewarding to write an article and have people actually find it useful. And of course, The Worth Project will continue to be my digital home where I share everything I learn about personal finance so you can apply it to your life. I have goals to grow this site and include more contributors and voices. 2018 has gotten off to a great and rewarding start. I can’t wait to see what the rest of this year holds for my family, for my business, and for this growing community I’m so lucky to have at The Worth Project.